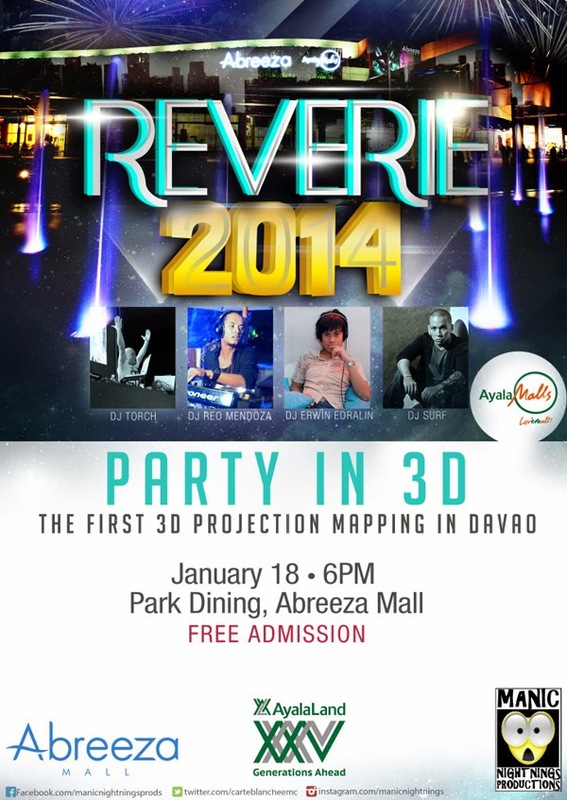 Come and party with us at Reverie 2014, Davao's first 3D Projection Mapping Party, on January 18, 2014 at the Abreeza Ayala Mall Park Dining. Dance the night away to the beats of DJ Torch, DJ Reo Mendoza, DJ Erwin Edralin and DJ Surf. Entrance is free and party starts at 6 pm. Reverie 2014 is brought to you by Abreeza Ayala Mall, Ayala Land and Manic Nightning Productions, the team behind the historical Carte Blanche.